These Terms and Conditions will apply to the purchase of the goods by you (the Customer or you). We are Kittenish Behaviour Ltd., Kittenish Behaviour c/o Ziggurat XYZ, The Old Granary , 1st Floor, NN Workspace, Northamptonshire, NN4 8HP with email address info@kittenishbehaviour.com; (the Supplier or us or we). Website means our website www.kittenishbehaviour.com on which the Goods are advertised. 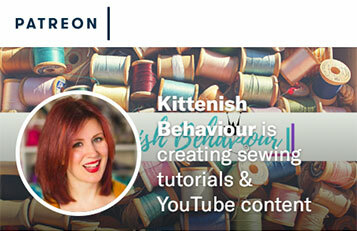 You can also electronically fill in and submit the model cancellation form or any other clear statement of the Customer’s decision to cancel the Contract on our website www.kittenishbehaviour.com. If you use this option, we will communicate to you an acknowledgement of receipt of such a cancellation in a Durable Medium (eg by email) without delay. If you have received Goods in connection with the Contract which you have cancelled, you must send back the Goods or hand them over to us at Kittenish Behaviour, c/o Ziggurat XYZ, The Old Granary , 1st Floor, NN Workspace, Northamptonshire, NN4 8HP without delay and in any event not later than 14 days from the day on which you communicate to us your cancellation of this Contract. The deadline is met if you send back the Goods before the period of 14 days has expired. You agree that you will have to bear the cost of returning the Goods. For any enquiries or complaints regarding data privacy, you can contact our Data Protection Officer at the following e-mail address: sian@kittenishbehaviour.com.